New.. Natural.. Now at Newman Plastic Surgery! The SaltFacial Skin Renewal Therapy System is a technological breakthrough for the treatment of a variety of non-invasive skin therapies. 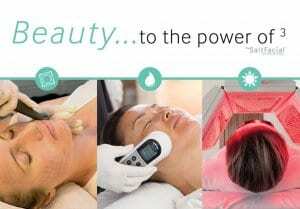 An “Aesthetic-Medical device” that delivers All Natural results. Results you see and feel after the first treatment! Soft, Supple, More Beautiful Skin … Naturally! at Newman Plastic Surgery and Spa. Contact Newman Plastic Surgery to begin your skin renewal journey.